In Ontario, you’re required to renew your business registration every five years. As a business owner, it’s your responsibility to ensure you renew your business registration on time. There are a variety of methods you can choose to renew your registration, all of which will help you get back to running your business. Below are some tips for renewing your business registration, as well as some answers to common questions posed by Ontario business owners. We renew your Ontario business registration – also known as “FORM 1” or a Master Business License – in a simple and effective process. You can simply place your order online for $60.00 government fee plus disbursements. We also offer rush services for those looking to renew their license within two hours on a business day. You can also request a name search for your proposed business name all in the same process. 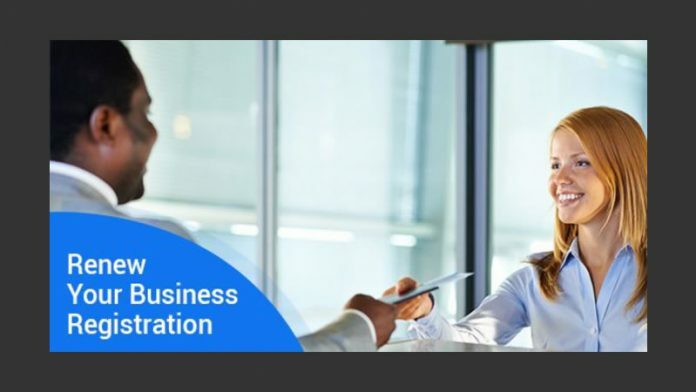 You are required to provide the business BIN (business identification number) as well as the same information you provided when first registering your business. Your registration needs to be renewed within 60 days of its expiry. The date of expiry, as well as the date of issue, will be listed on your current registration. If you miss the deadline to renew your business registration, you will need to register your business as new. This will require you to undergo the initial Ontario business registration process. Who is required to renew their business registration? Business registration/Master Business Licences applies to those who hold a sole proprietorship, general partnership or a tradename under an existing corporation. Do you need to re-register if you change your business name? Yes. Upon changing your business name you will require to register a new Master Business Licence under the new business name and if not carrying on business under the old name, it is recommended to cancel your old business name. Do you need to re-register if you make changes to your original registration? Any changes made to your business addresses in Ontario, such as the closure of an office location, the activity of your business, or the address of individuals in your company, will require your business registration to be amended. Once you have amended your business registration, it will continue to have the same expiry date and you will not need to re-register. Renewing your Ontario business registration is an important part of being a responsible business owner. Speak With One of Our Experts to learn more about renewing your business registration.